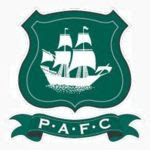 Plymouth Argyle vs. Forest preview.. | Through the seasons before us..
Plymouth Argyle vs. Forest preview..
Forest face a Sunday trip to the further-flung of the two league Pilgrims, beleaguered Pilgrims at that – yet to register a win this season. Of course, Forest are yet to register a win away from the City Ground so far – perhaps this fixture has a draw written all over it? With six defeats on the bounce, Plymouth would probably be happy with that, but Forest will surely be seeking to compound their misery at the bottom of the table. Billy has a few selection posers – he opted to drop Chambers to give Wilson a run out in the cup, and he came through that unscathed and played pretty well. We also have Majewski available for selection in midfield – who I think we’ve missed. The usual striker selection poser will be prevalent, with the pressure on for the Forest hitmen to find the target after a couple of wasteful games infront of goal. Our hosts might restore Bradley Wright-Phillips to their starting line-up, so the Reds will be advised to put their valuables in a safe place in the dressing room! On-loan Villa defender Shane Lowry is subject to a fitness test after picking up a knock against Newcastle in Plymouth’s last game. A big crowd is expected in the aftermath of the home side’s unusual promotion for the 2018 bid – which involved Argyle giving away tickets so long as a children’s ticket was ordered at the same time as an adult one. This offer was also extended to Forest fans – whether all those who took up the offer will have attendant children in tow seems to undermine the reports of a full house being expected. Nonetheless, Argyle will be hoping their bumper crowd will spur them on – although my experiences of Home Park in the past is they have a similar issue as we do with a healthy population of whingers amongst their home support (and also, similar to us, an excellent away following) so it might backfire to have a disagreeable large crowd when the pressure is already on. That said, Forest specialise in not exactly compounding other side’s misery on their travels – we mustered only a draw against Ipswich who had been struggling afterall. We don’t have a particularly good recent record at Home Park either – the last time we won there in the league was in 1977. They were the last points we have got from there, in fact! So somebody’s run is going to change – that’s for sure, either Plymouth will get a first win in the league since April, or we will pick up some points from a trip to Home Park, with the possibility of getting our first away league win since February! It’s been said that Billy Davies’ teams don’t get going ’til October onwards, I’m hoping we can start a little bit early. Another interesting tidbit I encountered was that Forest have used just eighteen players in the Championship so far – and no other team has used fewer. So whilst we have our quibbles about Billy’s rotation policy, presumably that means other teams are undergoing at least similar levels of it – if not more. first since Feb last YEAR?Surely you mean last season? Has it really been that long? Oops!! Freudian slip 😀 It seems like that long! The match is live on setanta uusa and setanta canada in addition to sky so I might be lucky. The following day there is a repeat of the match at a later time. Interesting point about the number of players used, NFFC. Seems BD is not alone in his rotation policy. Off topic….what happened to the two loan players we thought were coming in. The lad from Villa, I notice, has just signed a new deal with them. Does that mean its not going to happen now? And the the Stoke defender too? It’s all gone very quiet – I believe Albrighton has featured on the fringes at Villa lately – the rumour was only ever in a newspaper unfortunately. Pity, he’s incredibly highly rated. Similarly the Stoke defender rumours (Cort) have been going around for a while but without any real substance. Of course, if we wait ’til Monday then 93 day loans would see us through to January when they can be extended or made permanent – seems there’s always a deadline to get our hopes up looming around the corner!! Nice report. Since Boston’s relegation, we are the only league Pilgrims, though. Also, the full hosue has been achieved largely through a mass giveaway of tickets to school children and uni students — should make for a rather bizarre atmosphere, but hopefully not too much moaning (which would make a change!). Best of luck to you guys too, tomorrow excepted of course! SKY jinx broken at last!!! Well done u reds!